Request a Learning Studio Now! The Bierce Library Learning Studios are identified as rooms 61, 154, 274, and 279. These flexible, wireless, technology rich spaces effectively support instructor-led classroom activities and informal, student-initiated learning activities. Rooms 61, 154, and 274 have mobile, light-weight tables and chairs that can be configured to support the traditional classroom or collaborative group work. The Learning Studios are open when the library is open, and students may use the space and technology when the rooms are not scheduled. Laptops and/or ChromeBooks can be booked separately for use in the Learning Studios. Only University of Akron Faculty, Staff, or Student Groups (Registered with SOuRCe – Student Organization Resource Center) may book the Learning Studios in Bierce Library. Learning Studios must be booked 48 hours in advance. Learning Studios should be booked online at UL Learning Studios. Learning Studios are not a replacement for university scheduled class assignments. 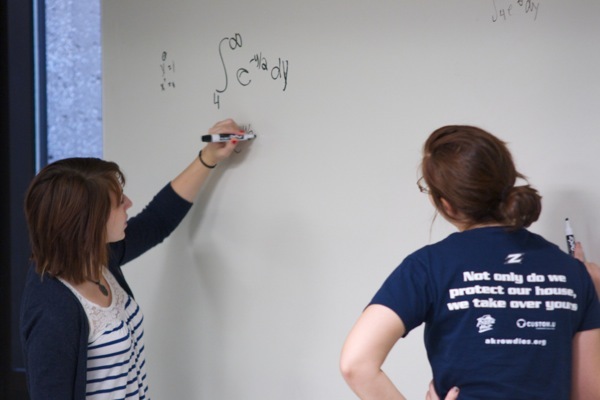 Faculty are encouraged to schedule activities and single classes that support their curriculum. Approved University programming may utilize a maximum of two Learning Studios for any one event/program. Requesting a room does not guarantee availability; confirmation of your booking will be sent via email. 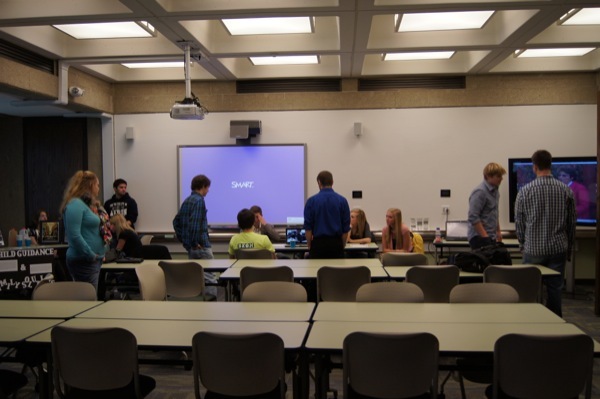 Departmental meetings scheduled in Learning Studios should involve training or product demonstrations that require technology in the Learning Studios. Departmental meetings are subject to room change or cancelation based on classroom need. Changes and/or cancelations to any existing booking will be communicated through email at least 48 hours prior to the event. All efforts will be made to reschedule the meeting/event at the scheduled time in an appropriate space. Student groups should end meetings/programs with appropriate time to clean the space and depart the library before the library closes. No groups will be permitted to remain in the building after hours. Learning Studios must be booked 48 hours in advance. Faculty/staff only. Open when the library is open, and student groups may use the space and the technology whenever it is not scheduled. Requesting a room does not guarantee availability; confirmation will be sent via email. Supplementary equipment (i.e. Lenovo tablet, SMART Board pens, etc) must be checked out/in by the instructor at the Media Tech Desk at the start/end of your event. Our booking system has been updated. You may now reserve blocks of time at once, not just by individual 30 minute periods. Please do make your reservation by submitting a separate request for each 30 minute block.